You have goals and expectations for your personal injury or wrongful death claim and we want to make sure we meet and exceed those. At The Button Law Firm, we strive to provide you with all the information you need to become informed of your rights and know what happened to you. At The Button Law Firm, we are one collective unit that works as a team. When Russell began putting his firm together, he envisioned a team approach instead of the typical every man or woman on an island approach most law firms use. Another one of our core values is to give back more than we take. The entire team at The Button Law Firm takes a proactive approach to creating and providing more information than anyone else to our clients, referral lawyers, and their families. We want you to make great decisions and trust that when you come to us, you really need what we have to offer. More than anything, we have built a team of people that truly care about the power and influence that a trial lawyer can have on the community they are in and serve. Russell's team seeks to improve as many lives as they can each day. We focus 100% of our attention on personal injury and wrongful death claims. 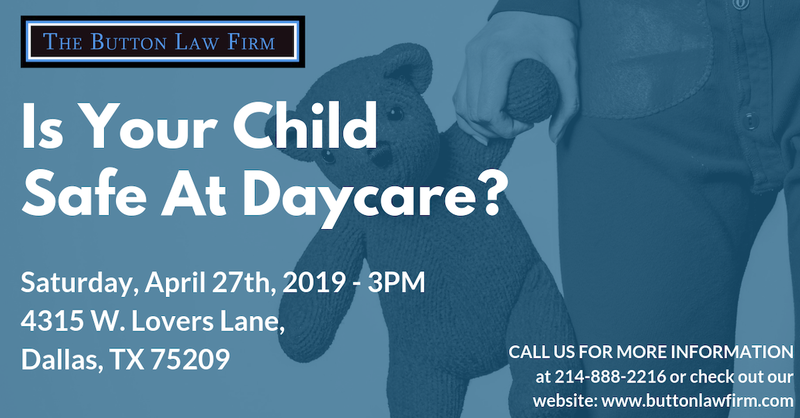 Our clients include anyone seriously injured in car wrecks, truck wrecks, inadequate security, product liability, daycare neglect, and numerous other causes of a serious injury. We also represent the families of anyone killed in any of the ways above as well as by a drunk driver, negligent truck driver, or unsafe apartment complex. The bottom line is when life has hit you the hardest, we are here for you to handle your case, represent you or your loved ones, and help you through this difficult time to achieve closure and make sure it doesn't happen to the next person or family. We also consider our referral lawyers our clients because they are part of the team. Without our referral lawyers, we would not get any of the clients that they refer. Since personal injury and wrongful death claims are all we do, our referral lawyers typically do other areas of law or only handle pre-litigation cases. Russell built his team to pursue his #1 passion, which is being a trial lawyer. The Button Law Firm will take on cases involving commercial litigation or other unique cases where a trial is required. Due to the unique talent and approach that we take to our cases, we routinely get asked to come in at the end right before trial to finish the case, which is the ultimate compliment from other lawyers. Whether you are a lawyer looking to refer a client over or hire Russell to take your case to trial, The Button Law Firm has a team ready to meet those needs. Do You Want To Know Your Rights And Be Informed? The Button Law Firm is at the top of the list when it comes to providing its clients with information to understand their claim, the process, and their rights. We want you to be as involved as you want to be. This is your case. We need you to trust us that we know what we are doing, but we know how important it is for you to see what we see. In the end, we approach each case as a team with specific roles. Read about us to find out if our experience, background, and legal philosophies match what you are looking for in a law firm. We go all out on every case. That is the only way we know how to handle cases and it works. Call or email us for more information. We are ready.